Do you have the funk? Stinkies? Ammonia problems? Diapers that make your eyes water? Have you considered a kryptonite lined diaper pail to contain the smell of your dirty diapers? Did fluffy or fido have an accident on your bunny slippers? Dealing with the dreaded toddler pee? 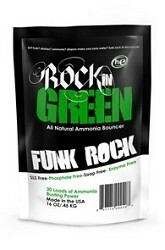 You need funk rock! This 100% natural compound is unlike anything you have tried before. It targets funk at the source and leaves no prisoners. 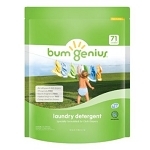 Just 4 tablespoons is enough to de-funk up to 20 diapers in one sitting. A little to your pre-wash to keep the stinkies from coming back. That's right, this 16 ounce bag will keep the diaper funk away for over two months! NOW with 78% more per bag!